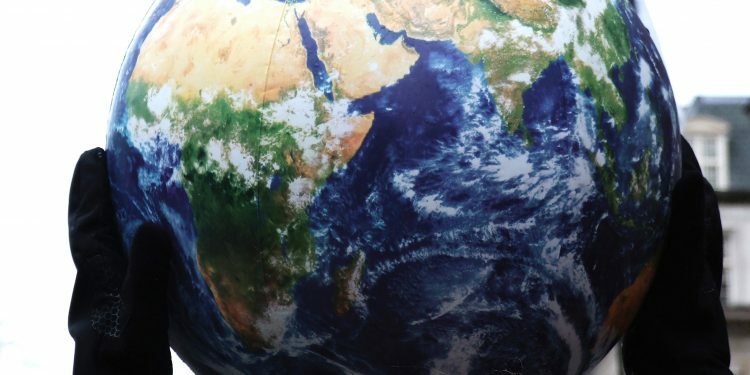 Climate stabilization is among the most pressing challenges humanity faces in the 21st century. In the words of Pope Francis, “we can no longer speak of sustainable development apart from intergenerational solidarity (2015, p. 78).” While consensus on the necessity for political action to combat climate change is building worldwide, significant questions about how this can be achieved remain. How can we imagine a just and fair, multinational, sharing of the burdens that must be met in order for humanity to successfully combat climate change? This is the problem that I have been working on for some time. 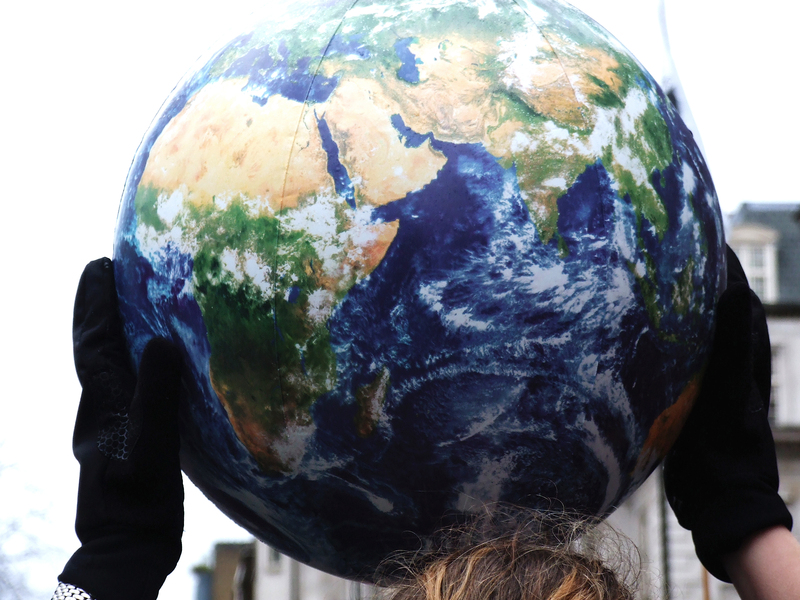 My solution maps the future of climate justice using three key principles. First, the principle of climate justice within a country. This means that, as each country moves toward accomplishing their climate justice goals, low- and high-income households should share the same burden proportional to their dispensable income as they do so. This principle can be realized through progressive carbon taxation. In addition, a consumption tax can curb harmful emissions and directly nudge behavior towards sustainability. Further, retroactive taxation of past wealth accumulation at the expense of environmental damage can be enacted through inheritance tax of the corporate sector. Second, the principle of fair climate change burden sharing between countries. Since winning and losing from a warming earth differs vastly around the globe, fairness between countries means that the countries that benefit more from a warmer climate should also bear a higher burden of climate change mitigation and adaptation efforts. 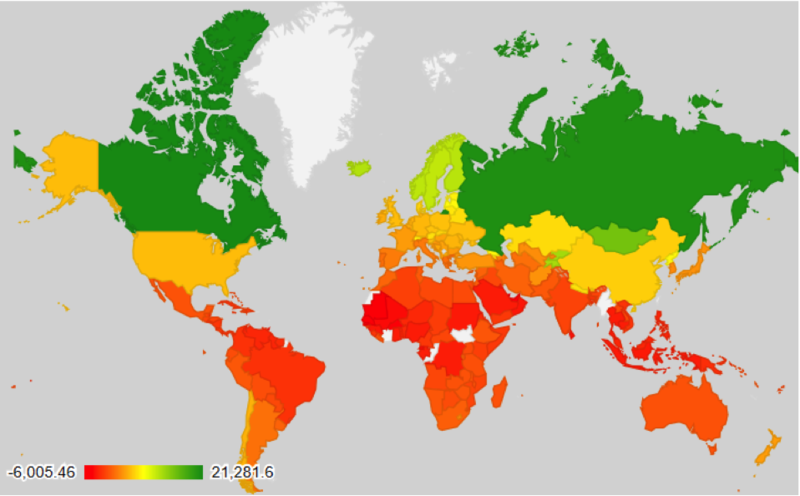 In the maps presented below, climate change winners and losers are determined based on economic output variables – particularly on an estimate of Gross Domestic Product (GDP) in a changing climate. Based on the optimal temperatures for the agriculture, industry, and service sectors in a given country, it can be determined how an increased average temperature will change their GDP. An earlier paper of mine has shown that, based on climate projections over the next 80 years, the world will macro-economically benefit more from climate change until 2100 than lose (Puaschunder, 2017b). These economic benefits are not equally shared, however. As outlined in Map 1 below, climate change winners are situated in the north – primarily in Canada and Russia. Climate change losing territories lie in the Global South. As can be seen in Map 1, virtually all of South America, Africa, and many developing nations in Asia are coded red and orange as climate change losers. This sharp north/south dichotomy has significant consequences, not least because being a climate change winner is significantly positively correlated with the Paris COP 21 emissions country percentage of Greenhouse Gas (GHG) for ratification. This leads to the challenging conclusion that the wealthier northern countries – those that will, by GDP, benefit most from a warmer climate – are those lacking economic motivation to mitigate global climate change. Shedding light on the benefits particular countries stand to reap from a warming earth allows us to draw inferences about how we might make transfers which can offset the losses a warming earth will cause elsewhere. In Map 2, below, this can be visualized. In the climate change winner countries, I argue that taxation should become the main driver of financing climate stability strategies. It is the very industries that benefit most from a warming climate that should be taxed. In particular, regarding concrete climate taxation strategies, a carbon tax on top of the existing tax system should be used to reduce the burden of climate change and encourage economic growth through subsidies for the use of clean energy (Puaschunder, 2017a). Thirdly, I propose not only that justice be sought within and between countries today, but that we attend to climate justice over time. I argue that this historical, transgenerational, long-term approach to climate justice can be implemented through the use of innovative climate change bonds. In order to finance climate change abatement, a climate bonds financing mix could subsidize the current world industry, aiding in the transition to green solutions. Sharing the costs of climate stabilization between and across generations is a Pareto-optimal strategy to both immediately address climate change, and share the burden of climate stabilization between generations. These three principles, and the maps that help us visualize their consequences, can help us derive just policy recommendations for the wider climate change community. It is my hope that such policies ensure that the global community share the burden – and the benefits – of climate change in an economically efficient, legally equitable, and practically feasible way. One particular policy that fits the principles articulated above is a bonds-and-tax climate financing strategy. 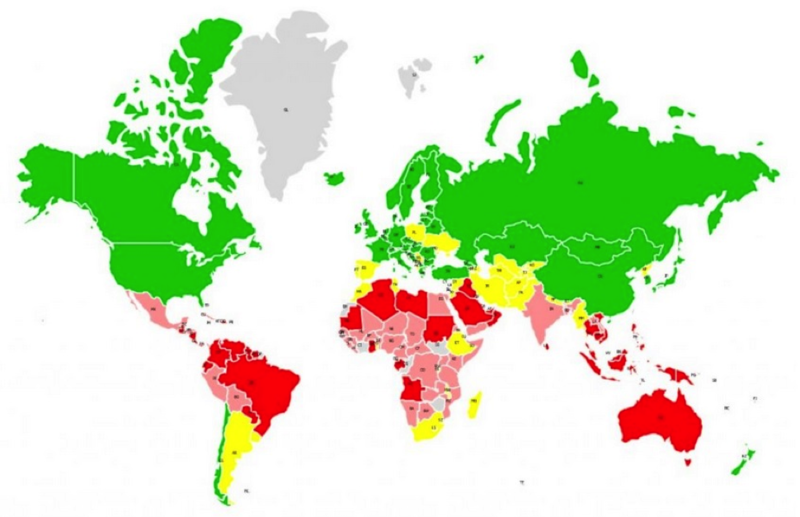 Such a strategy could bear the burden of climate change in a just and fair way around the globe by allowing governments in global warming loser countries (the countries highlighted in red and pink in Map 2 above) to receive tax transfers, in the present, from the winning countries. Overall this tax-and-transfer mitigation policy appears as a Pareto-improving fair solution across the world and across generations. Still, particular national populations must be convinced of this. It is to be hoped that the maps presented above can play a part in helping citizens to perceive climate taxation as a fair and just allocation of a collective climate burden. Presenting, in a novel, ‘service-and-client’ mode, the challenges and opportunities that will arise over this century as the planet warms could help national taxpayers to see themselves as cooperative global citizens as community members who are more willing to participate in a global solution if the price they are paying has been fairly assessed. Pope Francis (2015) Laudato Si’. On care for our common home. London: CTS. Puaschunder, J.M. (2017a) Financing climate justice through climate change bonds. Oxford Journal of Finance and Risk Perspectives, 6, 3, 1-10. Puaschunder, J.M. (2017b) Sunny side up! From climate change burden sharing to fair global warming benefits distribution: Groundwork on the metaphysics of the gains for global warming and the clamatorial imperative. Proceedings of the 2nd Social and Sustainable Finance and Impact Investing Conference, University of Cambridge, September 25, 2017, Proceedings of 17th Annual Science and Technology Studies & Science and Technology Policy Conference at National Academy of Science, Washington DC, USA, March 25, 2017.